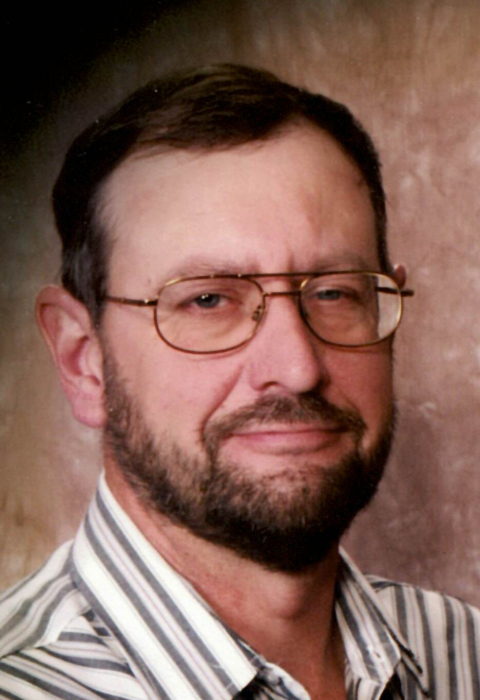 Scott M. Heinert, 59, of Mandan, passed away March 21, 2019 at his home. A Funeral Service will be held at 10:30 AM on Tuesday, March 26, 2019 at First Lutheran Church, Mandan, ND with Rev. Christina Martin officiating. Burial will be at the Mandan Union Cemetery following the service. Visitation will be held from 5:00-8:00 PM on Monday, March 25, 2019 at Weigel Funeral Home, Mandan, ND, with a prayer service at 7:00 PM. Visitation will continue one hour prior to the service at the church on Tuesday. Scott was born on May 4, 1959, to George and Karen (Chyles) Heinert in Mandan, ND. He was raised and educated in the Flasher area, graduating from Flasher High School in 1978. He worked in the Bismarck/Mandan area and enjoyed farm life, helping out where ever he was needed. In 1986, he married the love of his life, Karen Melaine Johnson. To this union 2 children were born, George Scott Heinert and Brian Joel Heinert. He had many interests including: playing pinochle, putting a good puzzle together, watching old western movies and the history channel, while having a special love for pets, especially dogs and cats. He took great pride in his yardwork and his 2003 Ford Ranger truck. Proudly, he worked for Leroy’s MVP for 19 years until his passing. Scott was a selfless, soft hearted, gentle, caring, loving man, who would drop whatever he was doing to lend a helping hand. He will be dearly missed by many. Scott will be lovingly remembered and deeply missed by his wife of 33 years, Karen; his sons, George of Portland, OR and Brian of Mandan, ND; sister, Crystal (Monte) Binstock of Mandan, ND, brother, Ross (Suzi) Heinert of Aurora, CO; father-in-law, Joel M. Johnson of Osakis, MN; stepfather, Les Larsen of Bismarck, ND; brothers-in-law, Kevin (Rhonda) Johnson of Goodhue, MN, Kerry (Sharon) Johnson of Monticello, MN and Kenny (Cindy) Johnson of Eau Claire, WI; stepsisters, Patti Frank and Deb Frank; stepbrother, Don Frank, all of Fargo, ND; and numerous nieces, nephews, aunts, and uncles. He was preceded in death by his father, George A. Heinert; his mother, Karen M. Larsen; his paternal grandparents, Albert and Betty Heinert; his maternal grandparents, William and Bernice Chyles; his mother-in-law, Shirleyann Johnson, stepfather, Ralph J. Frank; and stepbrother, Jim Larsen. Go to www.weigelfuneral.com to sign the guestbook and share memories with his family.